Kansas City’s beer scene is that indie band that is about to go mainstream. 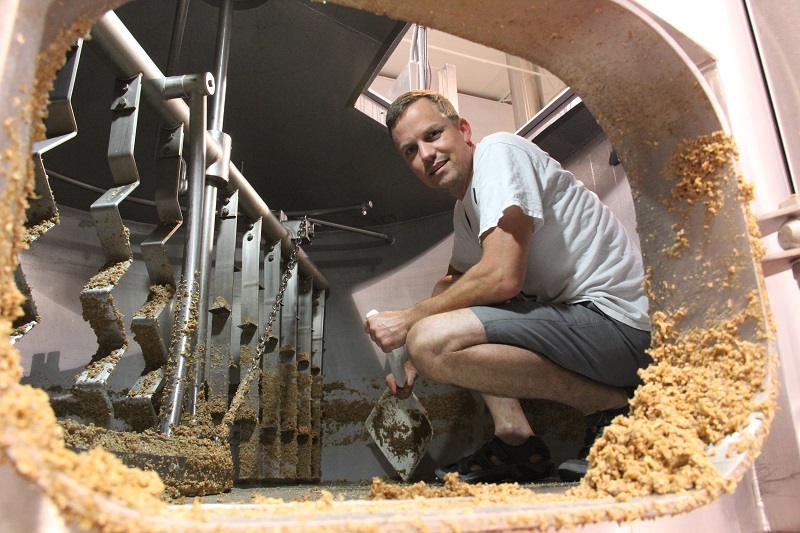 The local brewery count has doubled to 14 in the past two years, and another three microbreweries are slated to begin serving in 2016. KC is also often the first Missouri market to receive new releases from breweries operating elsewhere in the state and in Kansas. Welcome to the Midwest gateway city for beer. Start at the hometown brewery with national recognition. The iconic smokestacks at Boulevard Brewing Co. (2501 Southwest Blvd.) are visible from the highway. Tours are free—tickets are first-come, first-served starting at 10 a.m. on the day of the tour. You can pop by the tasting room, open from 11 a.m. to 4 p.m. Opt for the bright hops of the Calling IPA and then let the bartender point you toward the newest experimental beer. 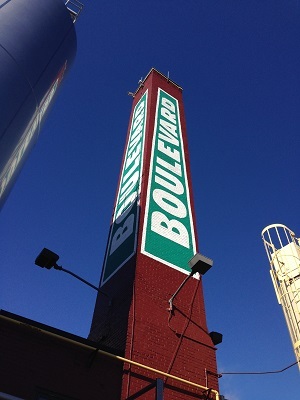 Boulevard’s barrel-aged program and sour selection have blossomed and never disappoint. The brewery is currently building a two-story visitor center with a shop and larger tasting room across the street. Head through downtown, and a 15-minute drive will bring you to Pigwich (2618 Guinotte Ave.), the permanently anchored food truck next to the Local Pig, a whole-animal butcher in the industrial East Bottoms neighborhood. It has proper cheeseburgers, a meatball banh mi and homemade potato chips (it uses 100 pounds of potatoes each morning). Snag a beer from the cooler inside the attached butcher shop and sit at picnic tables across from the former Heim Brewery building, where microdistillery J. Rieger & Co. took up residence last year. A short drive north reveals Big Rip Brewing Co., (216 E 9th Ave., North Kansas City) founded by a homebrewer and winemaker and offering experimental beers. Try the latest raspberry gluten-free option or a light and crisp Umbrella Kölsch—that brew, like many horror or Sci-Fi-themed beers on tap, is named for the fictional corporation in the Resident Evil video game/movie franchise. Three minutes down the road is Cinder Block Brewery (110 E. 18th Ave.), which produces everything from barrel-aged beers to ciders, and has cold-brew coffee on tap in summer. Black Squirrel is a rich imperial stout with a hint of raisin, while the English Cherry Cider offers a tart contrast. Fancy a nightcap? 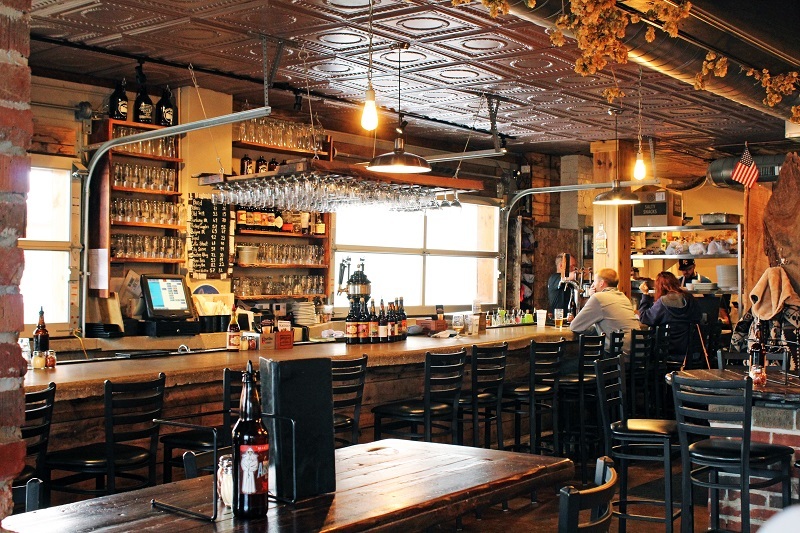 Walk around the corner to a beer bar hiding inside an arts movie theater. Screenland Armour (408 Armour Road) will set you up with a couch and a tremendous selection of regional taps. Keep an eye out for offerings from Perennial Artisan Ales (St. Louis) and Defiance Brewing Co. (Hays, Kansas). Back in Kansas City proper, Succotash (2601 Holmes St.) will provide you with the fuel needed to take on the day, along with a bit of vitamin C courtesy of a juice bar. You can also wake up with coffee, dig into a salmon eggs Benedict or give yourself over to the moist eight-layer rainbow cake. If there’s a long line, ask if there’s space in the cash-only back dining room. Roll out of Succotash and it’s a five-minute drive to the Crossroads, where a trio of new breweries have launched in the last year. Double Shift Brewing Co. (412 E. 18th St.), a tiny square building with a poured concrete floor and communal picnic tables, has approachable session beers and a penchant for using rye. Sample a flight or pint and then walk across the street to Thou Mayest (419 E. 18th St.) for a coffee break (the cold brew has the buzz of the old Jolt cola) and a handmade pie from Heirloom Bakery & Hearth. Your final stop in the Crossroads is a three-minute drive (or you can opt for a bikeshare ride with B-cycle) to the Torn Label Brewing Co. (1708 Campbell St.), in the shadow of U.S. 71 and tucked away behind a local art gallery. Hop heads will be drawn to the Alpha Pale, packed with Pacific Northwest hops, while those who want a taste of the Midwest might opt for the House Brew (a coffee wheat stout made with Thou Mayest toddy) or Monk & Honey—a bright Belgian farmhouse-style ale with a slight sweet note of Missouri honey. Stay downtown and get active at the College Basketball Experience (1401 Grand Blvd.). It houses the National Basketball Hall of Fame, “pop-a-shot” machines and open basketball courts. The only reservation you’ll need to make in Kansas City is at Novel (815 W. 17th St.). Owner Ryan Brazeal, a former chef at Má Pêche in New York City, oversees the kitchen where crispy eggs on bacon-braised tripe and crackling pork chops anchor a menu that changes based on what’s available from local farms alongside a small, but thoughtful, beer list. End your night with a 15-minute Uber ride to Bier Station (120 E. Gregory Blvd.). KC’s first beer bottle shop has 28 taps and a refrigerated section that stretches the length of one wall. You’ll find limited keg releases and rare large-format bottles from breweries across Missouri and the Midwest. Start your tab with a short pour of a Berliner weisse or gose from Crane Brewing Co.
It’s quiche, biscuits and gravy, and a counter full of pastries at You Say Tomato (2801 Holmes St.), a neighborhood grocery space that’s been given new life as a luncheonette. After YST, it’s a five-minute drive to McCoy’s Public House (4057 Pennsylvania Ave.) in the bustling bar and restaurant row of the Westport neighborhood for a ginger shandy. If you’ve got kids or a designated driver in tow, try the house-made root beer. Two blocks away is Kansas City’s smallest microbrewery. Green Room Burgers & Beer (4010 Pennsylvania Ave., Suite D) has cask ales, a breakfast burger topped with a fried egg and jalapeños and 100 feet dedicated to brewing everything from a coconut porter to mild English-style ales. Next on your tour is culture and sunshine. Stop by the Nelson-Atkins Museum of Art (4525 Oak St.) to see the iconic Claes Oldenburg giant shuttlecocks in the outdoor sculpture garden and a stirring collection of modern and classic art. Admission is free, but parking is $8. Head just south of the Country Club Plaza, a tony outdoor shopping area, to Glacé Artisan Ice Cream (4960 Main St.) for salted caramel and whatever bourbon- or beer-inspired ice cream that has emerged from the mind of chocolatier and ice cream maker Christopher Elbow. The German-inspired Kansas City Bier Co. (310 W. 79th St.) sources ingredients from the motherland. The weizenbock took silver in the 2015 Great American Beer Festival. 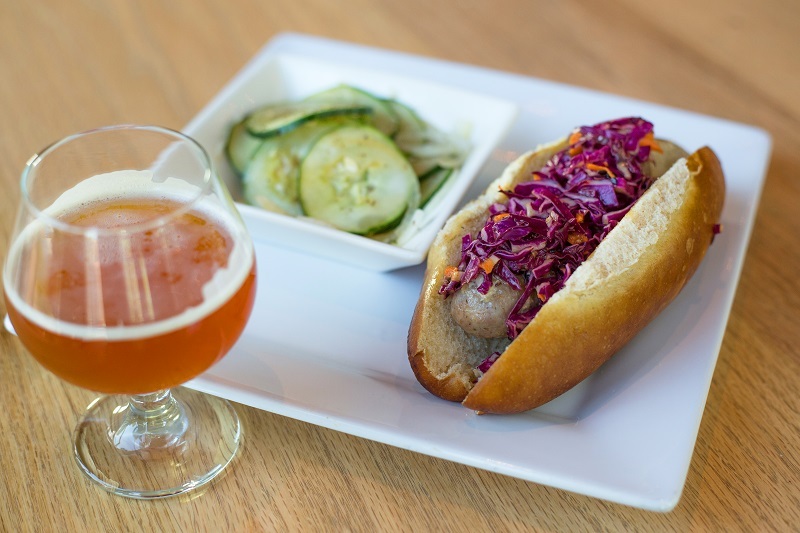 Opt for a flight with helles alongside a sausage and pretzel plate to enjoy in the bier hall or outdoor garden. Finally, pop by the Martin City Brewing Co. (500 E 135th St.). MCBC combines comfort food with a Missouri-centric beer list and a habit of snagging sought-after local collaborations. You’ll have barbecue while in Kansas City. It’s as ubiquitous as the smoke in the air. Here’s your (c)rib notes for navigating the multitude of BBQ joints. For ribs, go to Fiorella’s Jack Stack Barbecue (4747 Wyandotte St.) For pulled pork, Joe’s Kansas City (3002 W. 47th Ave., Kansas City, Kansas). For burnt ends, LC’s Bar-B-Q (5800 Blue Parkway). And for brisket, grab a beef sandwich at Arthur Bryant’s (1727 Brooklyn Ave.). Bring pants with an elastic band. FWIW, the original Jack Stack location is about 1/2 mile east of MCBC so you can hit both. I suggest it because aside from MCBC, there really isn’t any general reason for out-of-towners to venture this far south. Being a native, I think this is a good itinerary to see KC. Thanks.